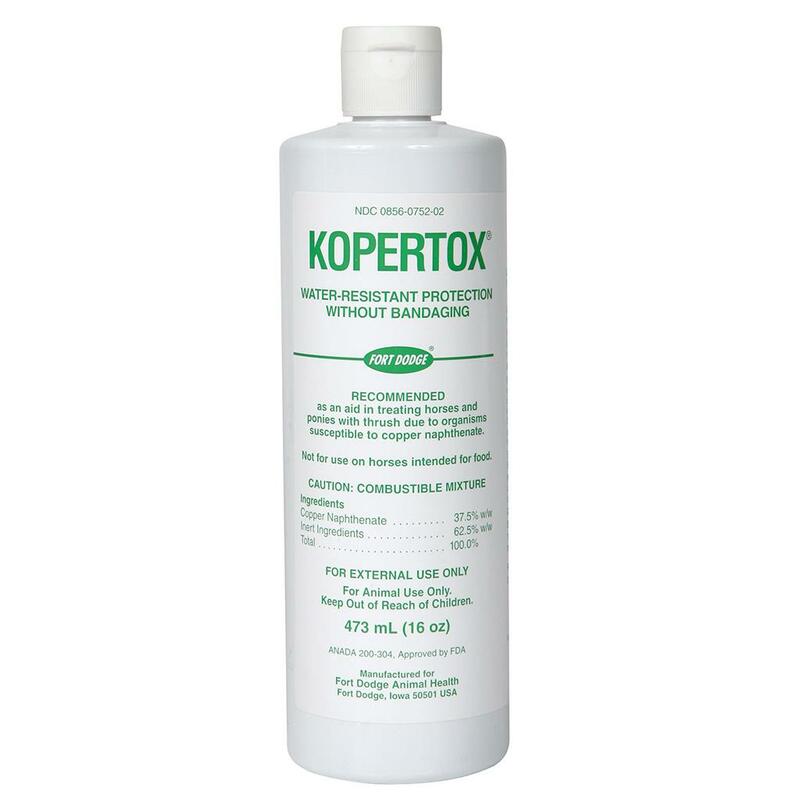 Kopertox® is a topical antifungal that treats thrush in horses and ponies. Water-resistant protection without bandages. 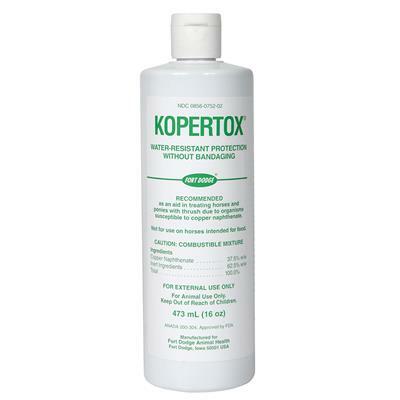 Clean hoof thoroughly prior to daily application.